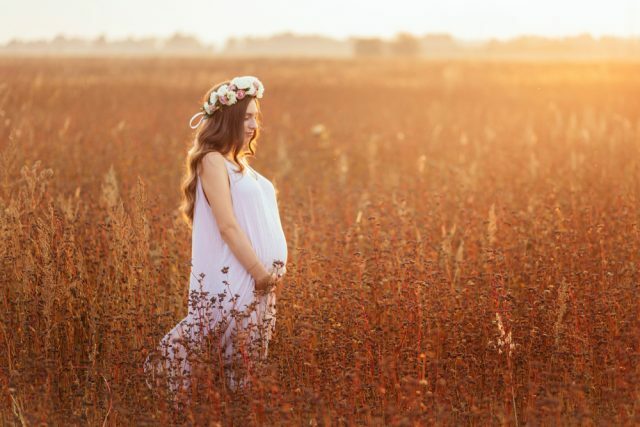 Maintaining proper health and staying fit is the biggest challenge for all expecting moms; and if you work for it with full dedication, you are doing the best thing for your baby. Most ladies suffer morning sickness, and many other discomforts during the 1st trimester of their pregnancy but it doesn’t mean that you should stop moving around. However, it is important to take some rest to let your body be able to support the growth of baby; but at the same time, you need to do some exercises to make yourself feel better. Fitness routines can help you to regulate your weight gain during pregnancy and make your body able to handle the baby weight when you start taking a new shape for childbirth. Exercises can also help you balance your mood swings, and you will have a good sleep as well. During 1st trimester of pregnancy, you will rarely notice any major changes in your body; the only thing you feel is that you need more rest. As per medical health experts, this is the right time to pay more attention to that fall in the energy of your body. You need a switch to exercise routines but make sure you talk to your doctor clearly about exercises that you are planning to start. It happens many times that depending upon your specific health conditions; your doctor may recommend you some variations in exercises. But the idea is to start with a low impact exercise routine that can help your body to progress with the changes associated with pregnancy. 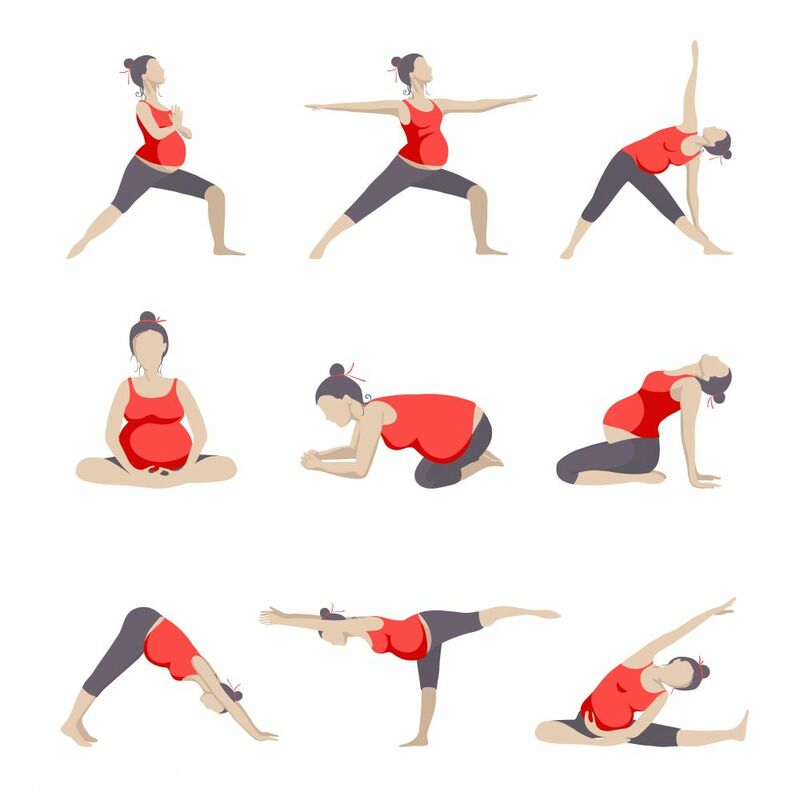 Below we have listed few essential exercises for 1st trimester of pregnancy but make sure you perform them in front of a professional trainer to avoid mistakes. Pilates are capable enough to address most of the challenges that expecting mothers experience during early pregnancy. The most common ones are lower back pain and balancing issue. Pilates help to build the strength of core muscles with the help of some floor exercises and series of equipment. The first session of Pilates focuses only on strength building, and later it starts challenging the balance. Make sure you do not perform any pose where you have to lie on your back; also, it is important to avoid bending of your midsection. Make sure you do not pose more force on your body during Pilates; the belly focused exercises must be performed only after expert guidelines. If you do it wrong, it can cause diastasis recti that are a terrible condition causing temporary separation of abdominal muscles in your body. Pilates workout must be done only once in a week to focus on strength building and balancing needs. Here is one of the most interesting and highly beneficial thing that you can do for your body during the 1st trimester of your pregnancy. There is no doubt to say that yoga helps to build right body balance while building core strength. At the same time, it also keeps the muscles limber, maintains your breathing rhythms, reduces blood pressure, so that you can have a trouble-free delivery. After a long time, when your body starts entering the menopause stage, yoga can assist to avoid osteoporosis by simply building the density of bone minerals. When you add yoga to your routines, it can help you to enjoy comfortable pregnancy cycle. However, it is important to avoid hot yoga practices, laying back on your back, headstands, abdomen twists, and backbends. 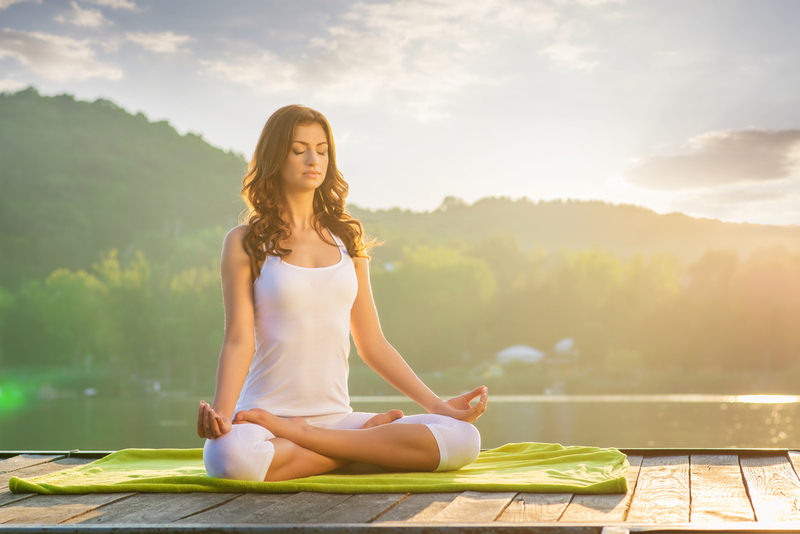 In order to ensure healthy routines, prefer to do yoga per day by sparing around 30 minutes. However, it is important to care that your body does not feel overexerted. It sounds simple, but a routine walk can add so many health benefits to your body. Indeed, it helps to make your body ready for the pregnancy cycle. When you start moving in routine, it naturally helps to build strength in the upper body parts with focused arm swinging. Walking also helps to improve heart pumping and ensure blood flow at a proper pace. In case if your body is not prepared for the long walks in routine, prefer to get started with only 10 minutes in a day and make sure you repeat at least 3 to 5 times every week. In order to avoid falling, make sure you stay close to walls to get strength. Avoid walking over rocky pathways and around broken sideways. Very few of you might be aware of this fact, but it is true that pool is your friend during pregnancy. Water helps to soothe your body with few low impact exercises. Experts reveal that water aerobics help to build core strength of body; however, it is important to follow expert guidelines to follow right practices. In case if you are already a routine water exercise lover, you can follow the same schedule. All that you need to make sure is, do not twist your body too much and stay tuned to your energy limits. There is no need to push your body forcibly when you actually feel tired. 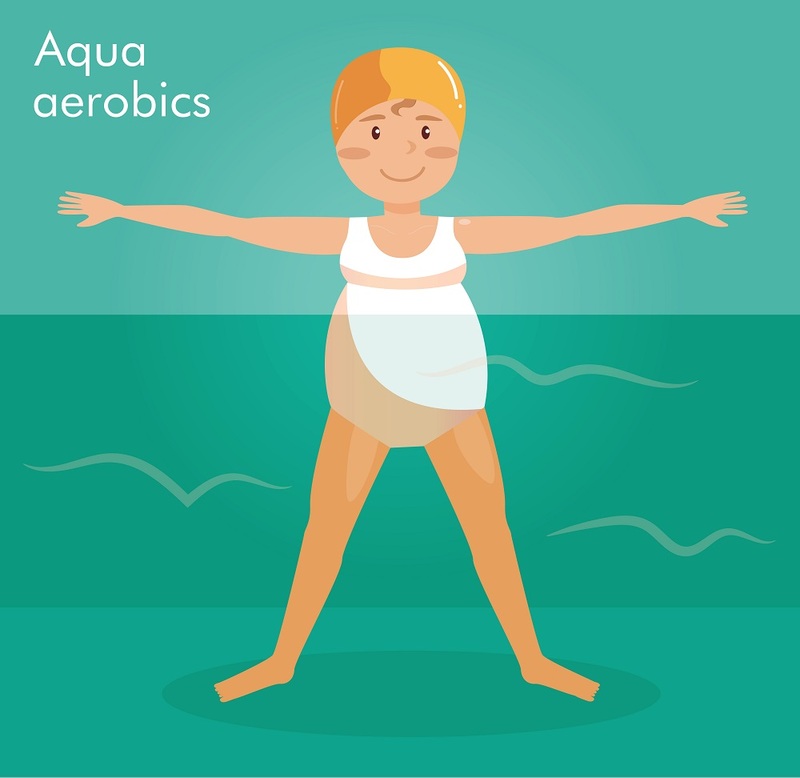 In case if you are just beginning with water exercises during the 1st trimester of pregnancy, it is good to consult professionals to follow right routines. They may help you to understand appropriate pool usage during pregnancy. The best idea is to spend 30 minutes in the pool and follow this routine at least 3 to 5 times per week. Those who have never made efforts to be a good runner are advised to focus on other exercises. 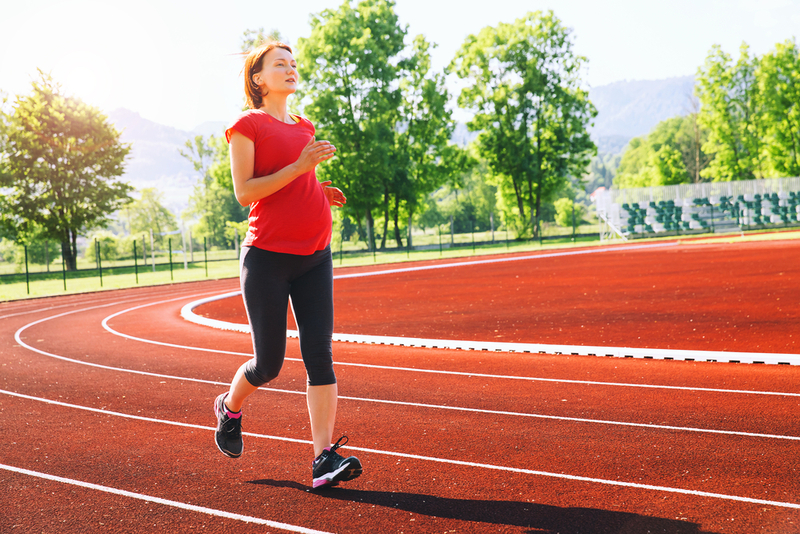 Although there are rare chances that running can cause any problem in pregnancy during the 1st trimester, it is important to give it up at a later stage. You can switch to other workout routines to ensure better health of your baby. In case if you are already a good runner and it was a part of your routines even before the pregnancy cycle began; you can follow the same routines safely during 1st trimester as well. However, it is important to follow some rules about maintaining energy and avoiding falls during running. You can prefer to run on the treadmill and flat tracks to avoid falls and prefer to stop right before you get tired. It is not good to push yourself. In case if your pre-pregnancy running routine was good; you can follow it during pregnancy as well for 30 minutes in a day and repeat it for at least 3 days every week. Here is something that can help your body to build real strength to carry the additional weight during upcoming months of your pregnancy. Weight training also prepares your body for a healthy delivery. However, it is important to do all weight training exercises as per professional guidelines. During 1st trimester, you can prefer to lift free weights and can also work on some simple weight machines at the gym. But prefer to avoid all maneuvers that force your body to hold more weight on your belly area or for which you need to lie on your back. Make sure you don’t even pose a strain on your breathing. 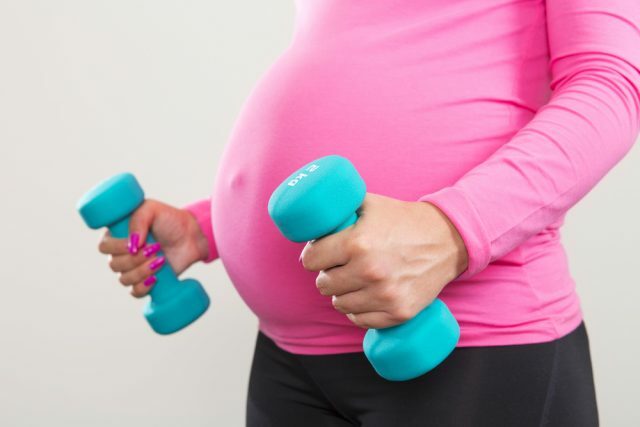 Note that, experts recommend only low and moderate strength training routines during pregnancy. The biggest problem during pregnancy is that you cannot sit comfortably on the bike because it has a fear of falling off. Riding a bike on streets can also cause an accident, so family members often recommend not riding it during pregnancy. But in order to make your body full of strength, you can join stationary bike and spin classes. This is the best choice during the 1st trimester of pregnancy. Both these exercises fall into the low impact category, and they help to keep your hearth feel healthy. However, you need to be more careful to avoid fall prey in the competitive atmosphere of spin classes. Prefer to follow your own pace without forcing your body to do more. At a later stage of your 1st trimester, you may start observing some changes in the center of gravity. 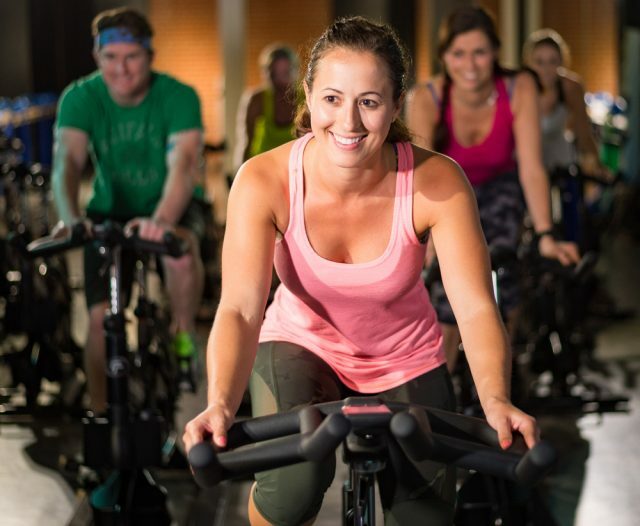 While attending spinning or stationary bike classes, make sure the handlebars add proper support to your back. It is good to follow 2 to 3 sessions of spin class or bike per week where one session may take around 30 minutes per day. Here is a fun form of aerobic exercise that is really good for 1st trimester of pregnancy. Do not overdose your body; rather dance as much you can normally do. You can practice it at home or have more entertaining group class. It is good to dance for at least 20 minutes in a day, and you can follow this routine for at least 3 times every week. The intensity of dancing must be adjusted as per ability of your body. Make sure your workout is low impact, and it does not cause an additional force on your belly or back. 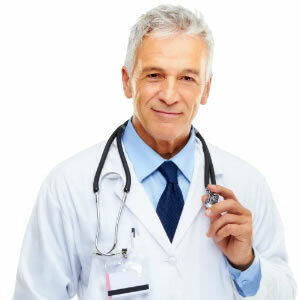 Make sure you start exercise routines only after consulting your healthcare service providers. They can help you know which exercises are good for you after checking your pregnancy condition. This consultation is important not to put your baby at any risk. Note that exercises help to burn calories, so it is important to ensure appropriate caloric intake to create a perfect balance in your body. Prefer to nourish your body with appropriate diet routines. It is good to avoid dangerous sports activities like soccer and basketball because they can cause trouble with your balance. Experts also advise avoiding mountain biking, downhill skiing, gymnastics, water skiing, surfing, and horseback riding. Prefer to wear loose and breathable cloths during pregnancy cycle. Note that you may need to change your shoe size due to mild swelling during pregnancy. Warm up session is always important before exercise routines. It helps to make your body ready to handle the strenuous activity. Make a routine to drink plenty of water to stay well hydrated during the 1st trimester of pregnancy. Do not ever lie flat on your back during early pregnancy. There is no need to make your body feel exhausted. Go slow and let your body feel fresh all the time.